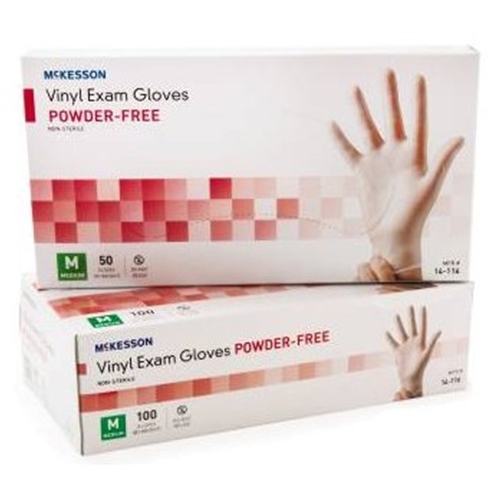 McKesson Powder Free Vinyl Exam Gloves from HealthyKin.com feature smooth inner and outer surfaces and beaded cuffs. great price and a great fit.i will be ordering more when i need to. Perfect!! This is the same type the hospital used, and sent some home with me. I have since ordered a box because they are exactly what I need and strong. Good product and reasonably priced. Just as good as the more expensive brands. Exactly what I was looking. Excellent product! Good product. I use these all the time and order them regularly from this site.